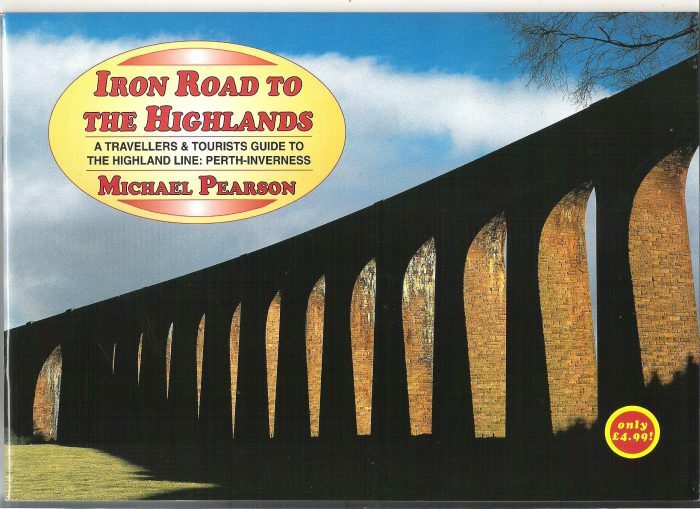 Currently out of print elsewhere, we still have several copies of this, another one of Michael Pearson’s very popular ‘Iron Roads’ series of guide books to railways in Scotland. This colourful coffee-table style book is a perfect companion to Iron Roads to the Isles; this time focusing on the 120-mile Perth to Inverness Highland Main Line. Journeying from the Scottish lowlands up to Pitlochry, the line passes the highest point on Britain’s rail network at Drumochter Pass, followed by Dalwhinnie, Aviemore and the famous climb to a second summit at Slochd. Culloden Moor is another famous point of interest on this route, which joins the Strathspey Railway at Aviemore. Book includes detailed maps and photos of freight and passenger trains.